There’s a reason it’s been named the fastest growing community in the Hill Country for several years. At Vintage Oaks, you’ll enjoy first-class amenities in a photographic setting. 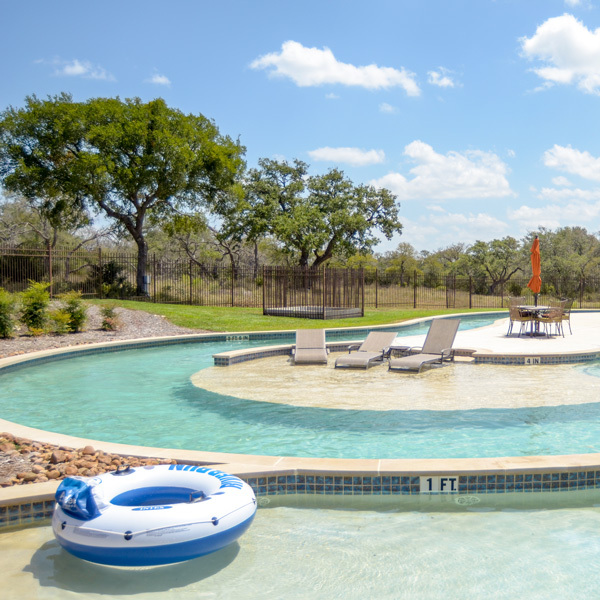 Towering oaks and rolling hills provide breathtaking panoramas in this New Braunfels community that sits in the heart of the Texas Hill Country. Relax at the resort–style pools or take a cruise around the lazy river that can make you feel like you’re on vacation. The Tuscan-style clubhouse is perfect for entertaining and outdoor activities are limitless. There are community parks, a picnic grove, walking trails, tennis courts, and both soccer and baseball fields. Vintage Oaks is a 3,300acre community that has several neighborhoods within.